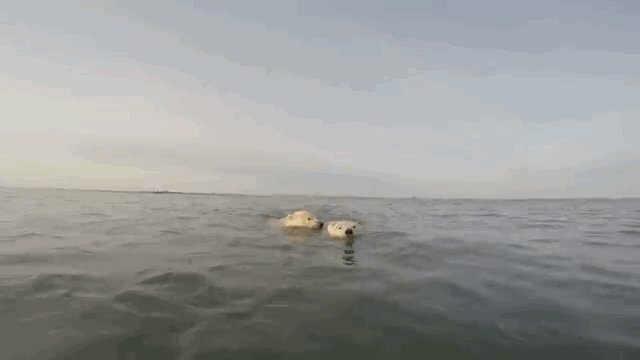 When a pair of young polar bears spotted wildlife photographers filming them from a boat, the cubs jumped off their ice floe and splashed into the water to get a closer look. While mom waited from the ice, the young bears trailed the boat, according to Storyful. 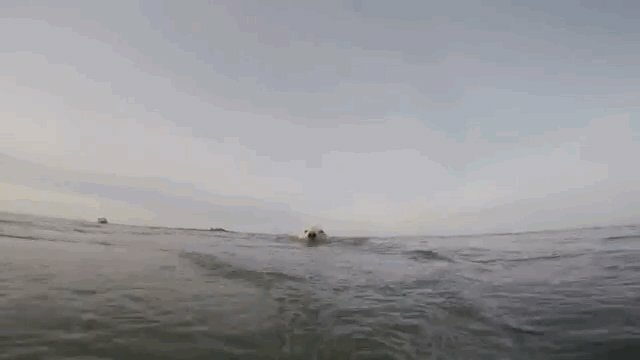 The footage is adorable - though that's pretty standard for polar bear cubs. 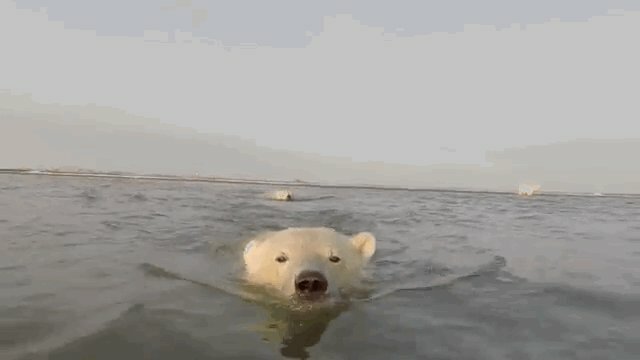 While these bears seem like they're having a good time, polar bears as a species aren't doing so well. As one of the animals most threatened by climate change, polar bears are quickly losing vital habitat, namely the Arctic ice they hunt from for much of the year. As temperatures rise, the sea ice melts earlier in the season, meaning that bears have less time to eat seals and fatten up for hibernation. In some cases, this has already led to bears drowning or dying from starvation. See this page for ways to help vulnerable polar bears, one of the most iconic Arctic species.